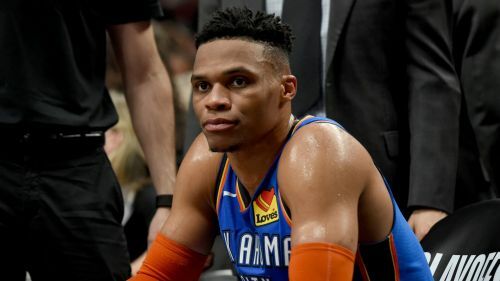 Russell Westbrook remains confident the Oklahoma City Thunder can progress to the Western Conference semi-finals despite falling 2-0 behind to the Portland Trail Blazers. After losing Game 1 by five points, the Thunder were beaten 114-94 on Tuesday as Portland started the first-round series with back-to-back home wins. Eight-time NBA All-Star Westbrook is not concerned, though, particularly with Oklahoma hosting the next two matches later this week. "They won their first two home games. We obviously wanted to try to steal one when we can but the message is just stay with it," said the point guard. For Thunder coach Billy Donovan a poor third quarter from his side was key to their defeat at Moda Center – the Blazers having outscored Oklahoma 37-21. "Our defence laboured and obviously [Portland] putting the ball on the floor and attacking us [hurt us]," said Donovan.